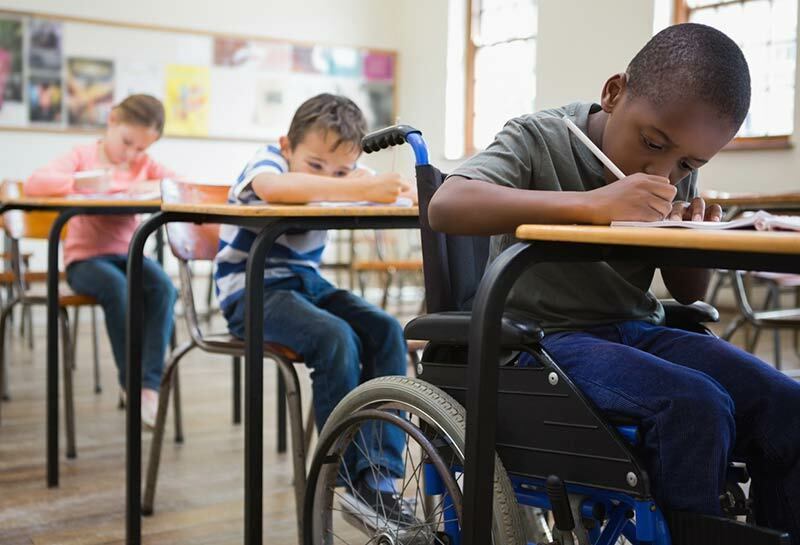 Two well-defined strategies are described for helping special needs students become independent learners. One of the ultimate goals of teaching is to help students become independent learners. Learners who are knowledgeable about a variety ofstrategies for learning and who are aware of how and when to usethose strategies are on their way to becoming successful learners ontheir own. Some children are strategic learners by nature; others canbecome strategic with a few hints and prompts. However, many students need adaptive instruction and additional support to make thestrategies part of their ongoing learning repertoire. Most elementary-and middle-school reading curricula mention strategies for reading expository (informational) text. Frequently,however, students are not provided with enough supervised practiceto make the strategies part of their ongoing repertoire of reading andstudy practices. Simply being aware of a strategy is not enough â particularly for students with reading and learning disabilities. What theyneed is systematic and intensive practice in applying strategies tocontent-area text with support from both teachers and peers. Collaborative strategic reading (CSR) combines both reading comprehension strategy instruction to provide students with systematic waysto read and learn from text and collaborative learning to provide students with the support they need from peers. CSR is most appropriate forstudents in grades three and higher. Some third-grade teachers havereported that they first introduce CSR in small groups aspart of a teacher-led center activity and later work toward cooperativelearning groups. In addition, teachers in lower grades have introducedthe language of CSR in whole-class reading activities. Each strategy is introduced one at a time to thewhole class through teacher and student modeling. Students thenimplement the strategies in their cooperative learning groups. The cooperative learning groups consist of four or five students.Each student is assigned a role to keep for several weeks.Roles can include leader (who guides fellow students through the strategies), clunk expert (who leads discussion about how to âfix up clunks,â or end confusion about difficult vocabulary), time keeper, recorder, and encourager. The cooperative learning groups ensure that all students have anopportunity to participate and be truly active learners. During CSR sessions the teacher's role is to introduce the topic(including particularly difficult technical vocabulary students are likely to encounter), facilitate and monitor cooperative learning amongsmall groups, and summarize key points at the end of the lesson. Teachers frequently balance CSR sessions with other content-area learning activities such as projects, experiments, and other hands-on activities. Forinstance, CSR sessions may be held for one hour, twice a week, with other activities and tests being scheduled on remaining days. Students with learning disabilities may have difficulty with basiccounting and computational skills in mathematics. Students with andwithout disabilities also have difficulties in solving math word problems. Indeed, math word problems are the Achilles' heel of many students. The fact is that word problems are designed to show real-world applications of mathematics. Their primary purpose is to make mathematics genuinely come alive. Reading and mathematics are merged. Words are sometimes used instead of numbers (e.g., dozen). The necessary mathematics operation is not explicitly called for. Multiple operations are sometimes necessary. On top of that, assuming that the correctoperations are selected, careful calculation is needed to derive thecorrect answer. No wonder word problems are overwhelming for elementary students! The complexity of solving word problems necessitates strategic thinking. The difficulty is that many students with disabilities lack systematic strategies for tackling word problems. Start by reading the entire problem aloud or silently. Do not start solving the problem until you understand generally what problem is being posed. Identify and highlight or circle all numbers  including hidden numbers (i.e., numbers written as words). If you can't write in your textbook, write all numbers on a piece of scratch paper. Read the problem again. This time, try to draw a picture of the problem. Read the problem once again. This time, think: What is the problem asking for? What should my final answer be? What form should my final answer take? Inquire  ask yourself: What operation do I need to use to find the answer (add, subtract, multiply, or divide)? Guess, to estimate what the answer should be. Should I end up with a larger number or a smaller number? Ham it up! Act out the problem if necessary. Try to make it real. Use manipulatives if necessary. Take a pencil and calculate the answer. Double check your answerto make sure it makes sense. More articles on Adapting Reading and Math Materials for the Inclusive Classroom.